We offer an excellent range of backing pads for various machines including Orbital Sander Backing Pads, DA Sander Backing Pads, Angle Grinder Backing Pads, Roloc Backing Pads / 3M Roloc Holders, Hand Blocks, Pneumatic Pump Up Drum (for burnishing machines), Graphite Pads, and many more! 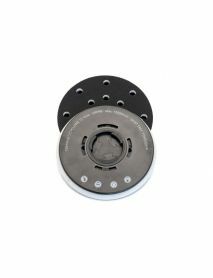 BND Abrasives work very closely with Flexipads - who is one of the leaders on Industrial Backing Pads & Accessories. 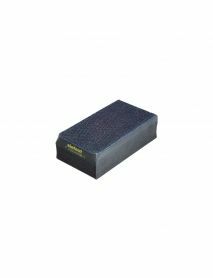 We supply and keep stock of a wide range of Flexipads backing pads and Flexipads hand blocks! A 17 Hole Cyclone™ pad, with internal cyclone effect optimizing the dust suction of every hole with a mushroom GRIP surface that works great for mesh abrasives, 3M Cubitron 775L Clean-Sand Multihole, Mirka Abranet, Sia Fibotec Discs, Norton Multiair Discs or any disc with any hole pattern! Please note this has a Festool TriLock Quick Fix thread and is not compatible with 5/16 or M8 machines. 2-sided Hard / Soft for use with Siafast Strips 70mm x 125mm.